As web sites age, they begin to look dated and become less useful. It doesn’t matter if a site was developed six years ago or six days ago, its relevance will beginning dropping if it is not continually monitored and managed. The most effective strategy for managing relevance combines thoughtful content management with comprehensive site analytics. Content management can improve your site’s relevance, but only if the content is, well, relevant. Keeping up on developments in your industry as well as trends on the internet and social media are vital to developing relevant and useful content. A well managed publishing schedule will ensure that your site is regularly updated and useful. 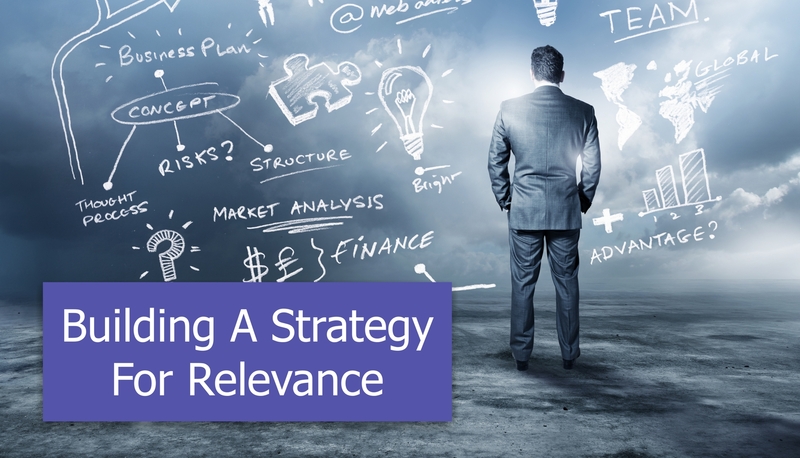 Although content is certainly key to improving relevance, it can’t do the job alone. For example, if you owned a barbershop, you might consider posting photos of your best haircuts to help potential customers decide on a style. While this would certainly be useful, it is completely irrelevant to mobile users if the pages won’t display correctly on their devices. Knowing the best way to deliver that content will ensure that your visitors are getting the most out of your site. To develop the most efficient site for your visitors, check under the hood and see how they are using it right now. Reviewing your site’s analytics is a great way to see just how your visitors interact with your site. This data reveals all of the strengths and weaknesses of your web site and can provide invaluable insights for improving and maintaining its relevance. Knowing the type of content visitors want and building the most efficient ways to deliver it, are key elements in your strategy to maintaining site relevance. If you have questions or are not sure where to begin building your strategy, give us a call. Simplifying the Internet. One site at a time. As web sites age, they begin to look dated and become less useful. It doesn’t matter if a site was developed six years ago or six days ago, its relevance will beginning dropping if it is not continually monitored and managed. The most effective strategy for managing relevance combines thoughtful content management with comprehensive site analytics. Content management can improve your site’s relevance, but only if the content is, well, relevant. Keeping up on developments in your industry as well as trends on the internet and social media are vital to developing relevant and useful content. A well managed publishing schedule will ensure that your site is regularly updated and useful. Although content is certainly key to improving relevance, it can’t do the job alone. For example, if you owned a barbershop, you might consider posting photos of your best haircuts to help potential customers decide on a style. While this would certainly be useful, it is completely irrelevant to mobile users if the pages won’t display correctly on their devices. Knowing the best way to deliver that content will ensure that your visitors are getting the most out of your site. To develop the most efficient site for your visitors, check under the hood and see how they are using it right now. Reviewing your site’s analytics is a great way to see just how your visitors interact with your site. This data reveals all of the strengths and weaknesses of your web site and can provide invaluable insights for improving and maintaining its relevance. Knowing the type of content visitors want and building the most efficient ways to deliver it, are key elements in your strategy to maintaining site relevance. If you have questions or are not sure where to begin building your strategy, give us a call.